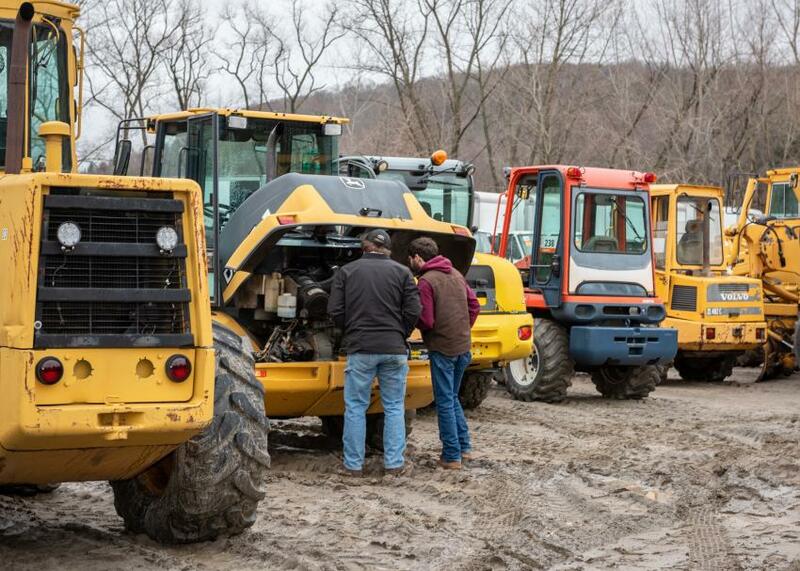 More than 2,300 bidders participated online and in person at Ritchie Bros.' multi-million-dollar unreserved public equipment auction Dec, 17, 2018, in North Franklin, Conn.
With bidders from 37 countries, approximately 77 percent of the equipment in the auction was sold to out-of-state buyers from as far away as Mexico, Vietnam and the United Arab Emirates. 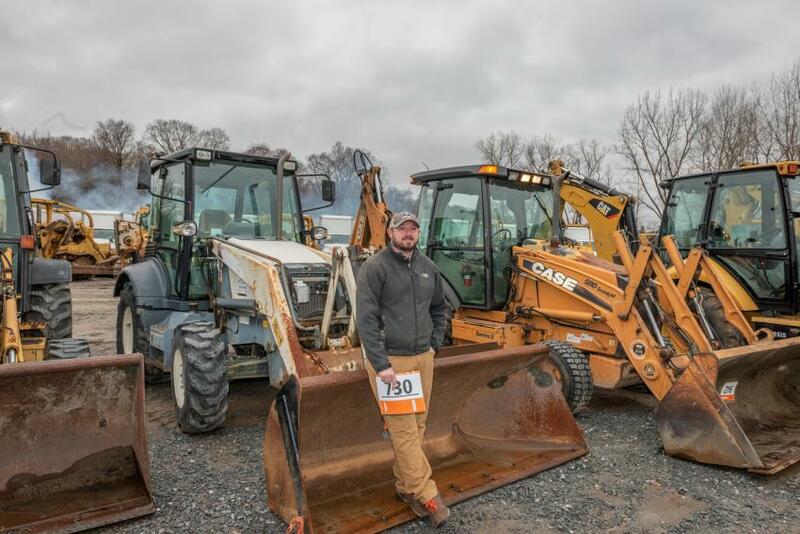 Online bidders purchased approximately 63 percent of the equipment sold (by dollar value). 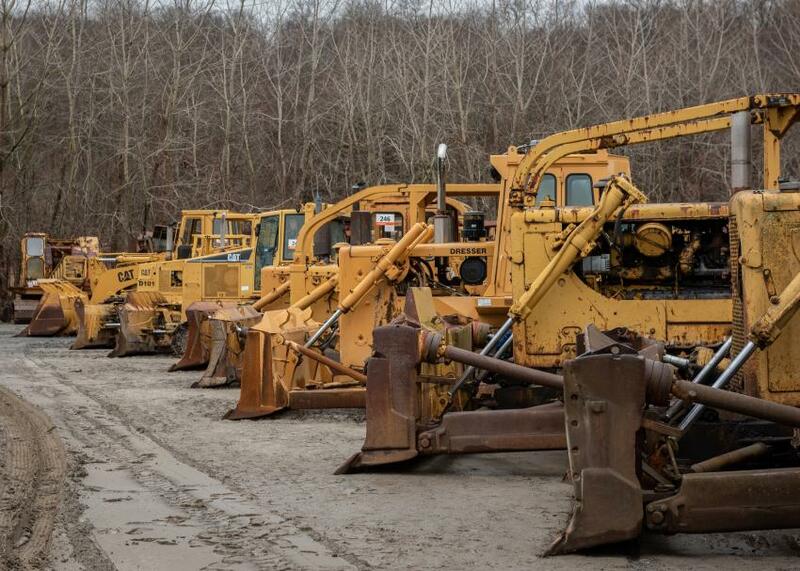 More than 1,300 equipment items and trucks were sold in the auction for more than 100 owners, including a complete dispersal for Venuti Enterprises Inc., a family-run operation closing shop after 34 years. 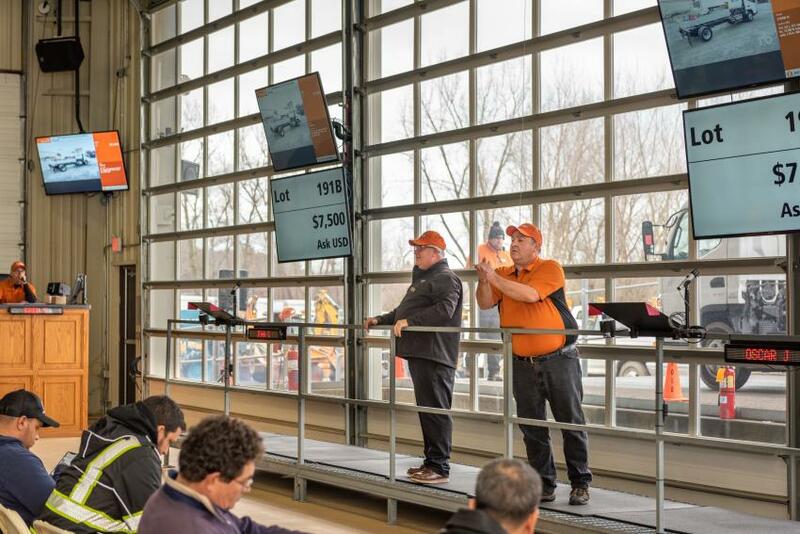 "We started selling with Ritchie Bros. in 1990 — they provide excellent local customer service and their auctions reach buyers around the world," said Peter Venuti, vice president of Venuti Enterprises. 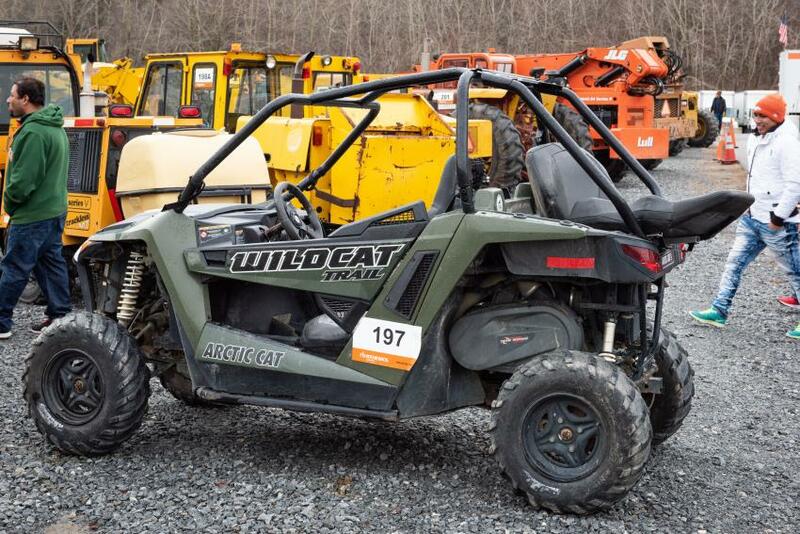 This 2014 Arctic Cat Wildcat Trail 4x4 Side by Side garnered a lot of attention. 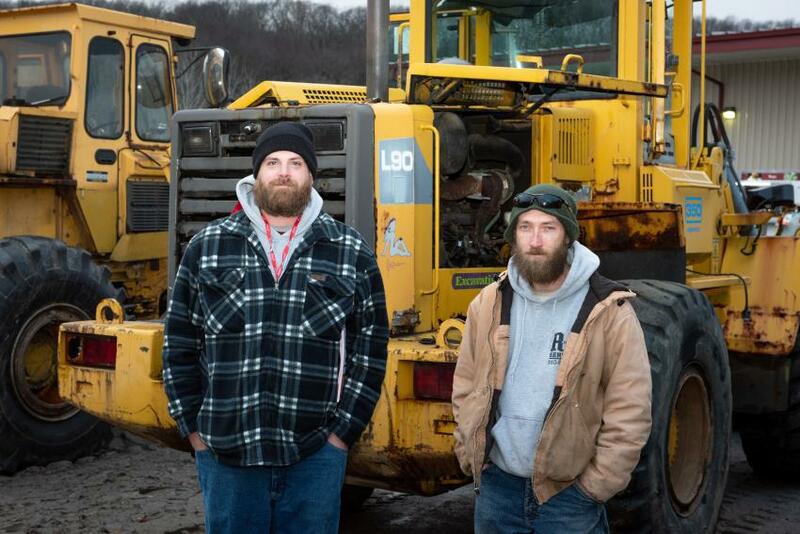 Oscar J. and John C. of the Ritchie Bros. team adding in bids for a 2014 Mitsubishi FEC72S COE S/A cab and chassis. There were several brands of crawler tractors to bid on. Josh Upton (L) and Cameron Clark of Cams Lawn Care and Landscape LLC in Houlton, Maine, check out the engine of a 2007 John Deere 304 J wheel loader. Ray Meyer (L) and Mark Chapman of R&R Services in Oakdale, Conn., pause in front of a 1994 Volvo L90B integrated tool carrier. 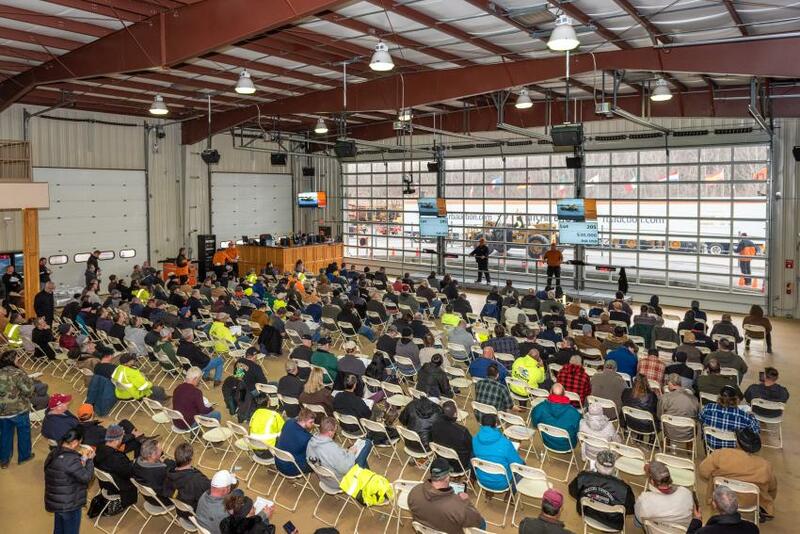 Attendees of Ritchie Bros.’ auction in North Franklin, Conn., bid from the comfort of the indoor facility while the equipment drives by on the outdoor display ramp. 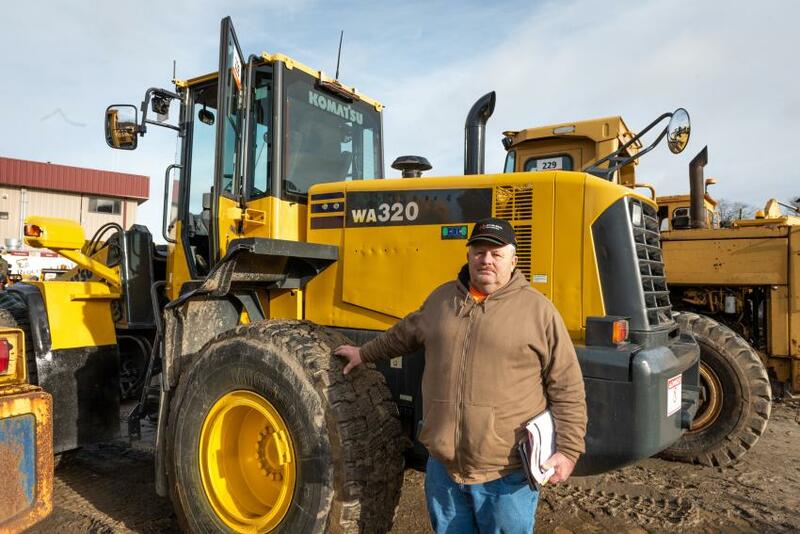 Brian Barlow of Barlow Construction in Greenfield, Mass., checks out this 2009 Komatsu WA320-6 wheel loader. 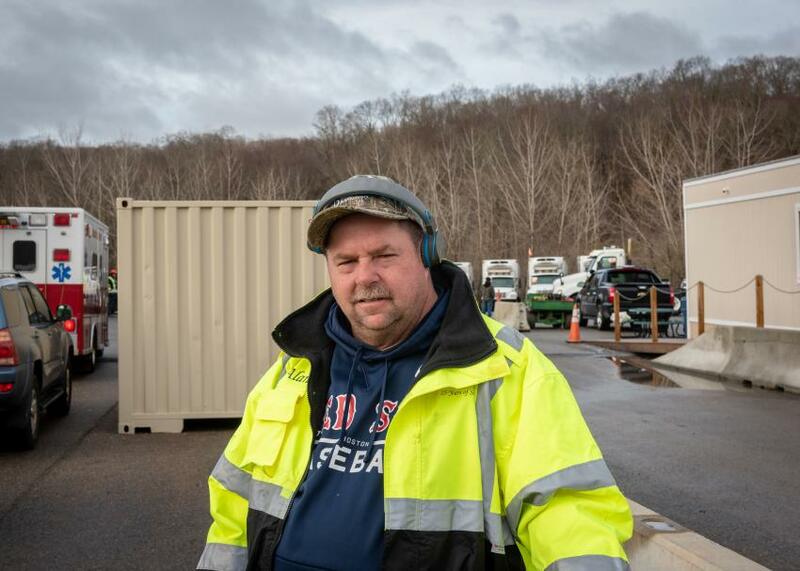 Alan MacDougall of ALM Services in Waterford, Conn., was outside of the North Franklin Ritchie Bros. facility waiting for the bidding to start. Jeff Morton of Lisbon, Conn., stands in front of the many choices of backhoes. 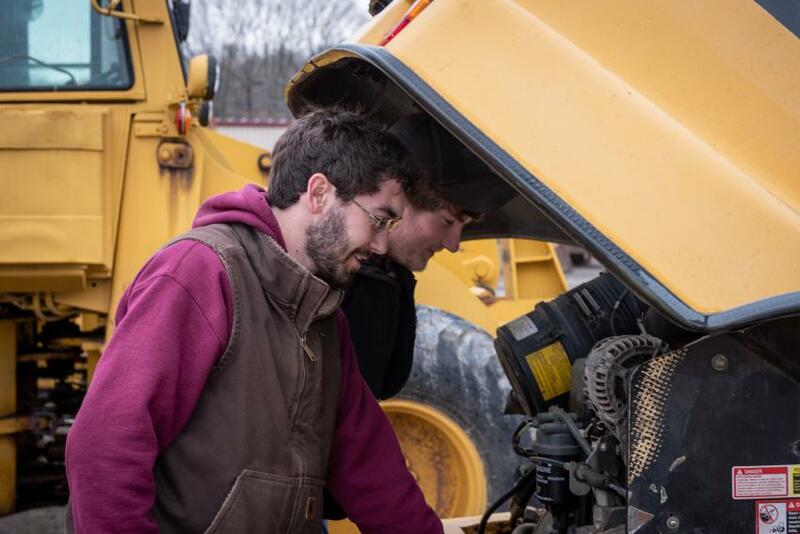 Cameron Clark (L) and Josh Upton of Cams Lawn Care and Landscape LLC in Houlton, Maine, check out the engine of a 2007 John Deere 304 J wheel loader. 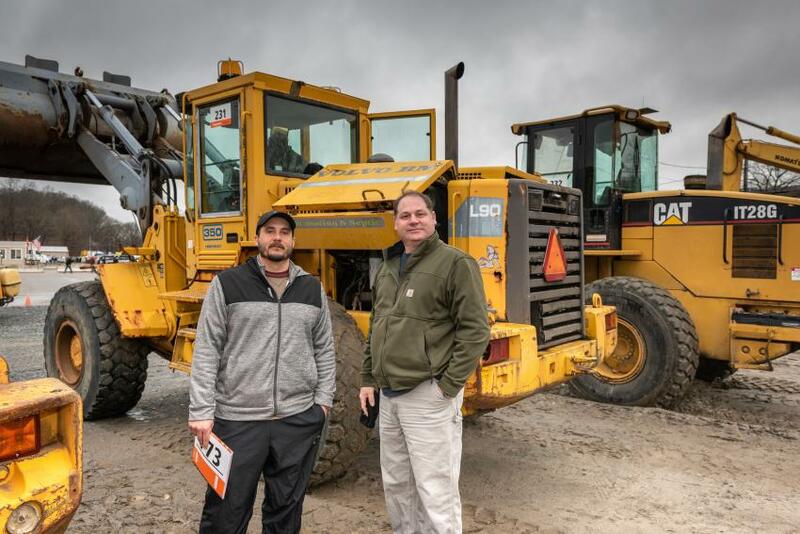 Wender Gomes (L) of Proscape Company and David Bruschi of Guardian Group Properties, both of Shrewsbury, Mass., are looking at a 1994 Volvo L90B integrated tool carrier. Bob Damiano (L) and Dan Heinz of Nature’s Creations, Tunkhannock, Pa., check out this 1965 Farmall 806 4WD antique tractor. 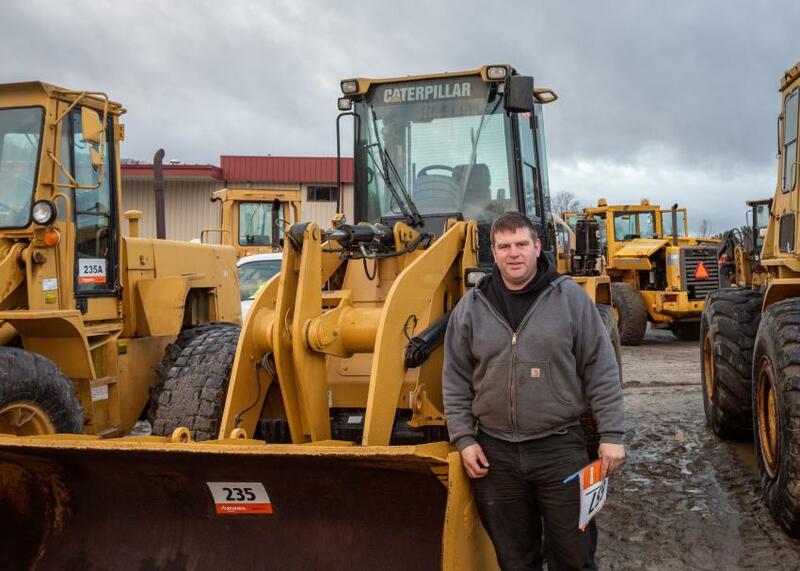 Sean of HGNS Inc. in Albany, N.Y., checks out a 2013 Caterpillar 914G2 wheel loader. 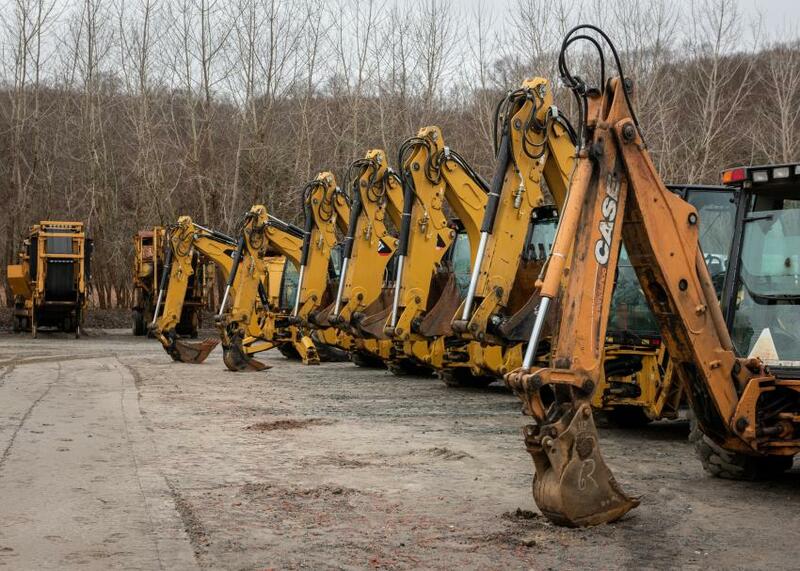 There was an assortment of Case and Cat backhoes to choose from.